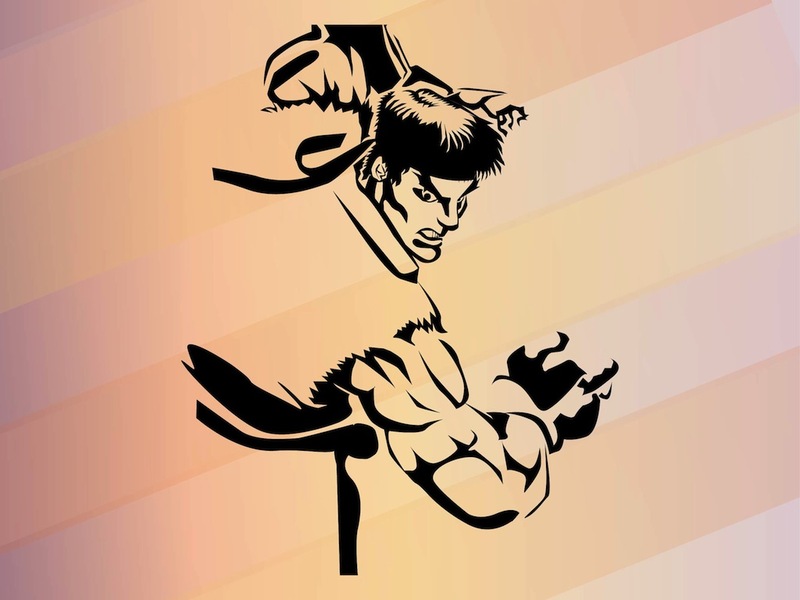 Cartoon vector graphics of the special Hadouken attack from Capcom’s game “Street Fighter”. Angry man with muscular hands and short hair. Comic book style illustration of the attacking fighter. Free vector illustration to use in all your gaming, fighting games, attacks, arcades, fury and game characters design projects. Tags: Angry, Anime, Attack, Capcom, Game, Gaming, Manga, Street Fighter.